Winky Lux, a New York-based luxury makeup brand, that carries cruelty-free, high pigment colors that are designed to give you real results. All of their products are free from parabens, sulfates, gluten, phthalates, and animal testing. Their products are amazing! I own a couple of their eyeshadow palettes as well as their uni-brow universal eyebrow pencil. The Winky Lux Experience initially opened on August 8, 2018, in the New York City’s Soho neighborhood and opened at another location on September 27, 2018, in Atlanta’s Buckhead neighborhood at Lenox Square Mall. With nine completely transportive rooms that celebrate wildly unique products and magical beauty moments, The Winky Lux Experience has grown quite popular over the past few months. The Winky Lux Experience is a pop-up shop, designed to spark imaginations, create sharable content and foster opportunities to connect with fellow beauty lovers and friends (via Winky Lux website). The store is super cute, yet posh. Once you pay for the experience, you are taken on a tour through the nine rooms for photo ops and an opportunity to play with the unique products designed with the theme of each room. Our wonderful tour guide, Austin made sure our experience was a memorable one! Make sure you ask for him if you go, he is amazing! 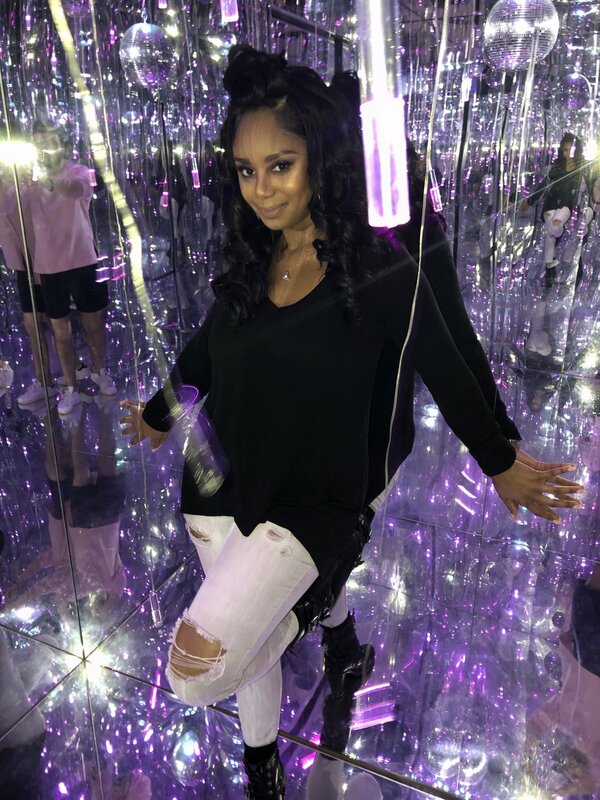 If you are looking to create some cute, yet unique content for your blog, Instagram page, etc., I recommend you to dress up in some cute clothes, grab your camera and stop by Lenox Mall and head to Winky Lux. Once you pay your fee of $10 for the experience, your $10 goes towards credit for any products in the store. I opted for the flower balm lipstick, and it is bomb! For more information about the Winky Lux Experience, please contact atlexperience@winkylux.com or call 404-205-5113. Newer PostWhat's Been Going on with You?